I am unable to connect my Ring Doorbell to a Wi-Fi SSID that has special characters. What do I do? 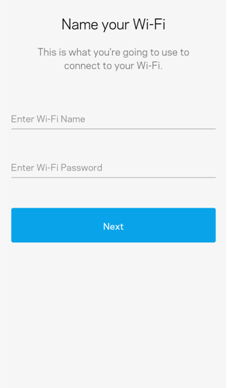 As you go through the process of setting up your Linksys router or Velop system, you will be prompted to personalize your Wi-Fi by creating a Wi-Fi name and password. During this process, it is recommended to use an SSID or a name that doesn't contain special characters (such as ‘, *, @, $, ! or #). NOTE: As soon as your Ring Doorbell goes through an automatic firmware upgrade, special characters on your Wi-Fi SSID will no longer be an issue.